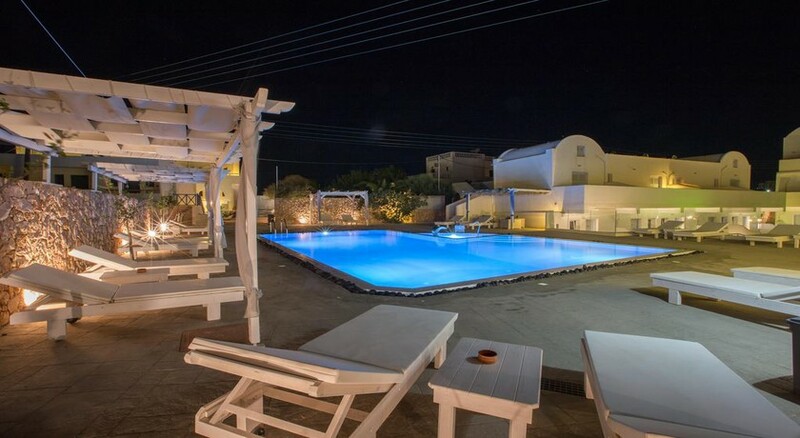 This stunning hotel is situated just 100 metres from the volcanic sandy beach of Perivolos Black. Renowned worldwide for its crystal clear waters- this beach offering guests the perfect setting in which to indulge in the ultimate relaxation and rejuvenation. 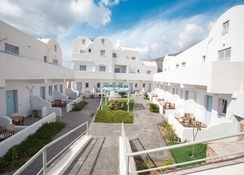 Guests will find themselves within easy access of a host of attractions in the area. 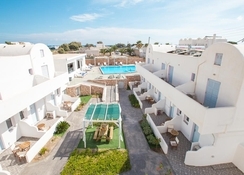 Guests can enjoy a number of exciting activities nearby. 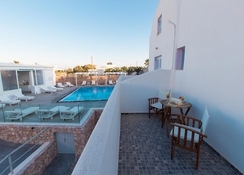 This wonderful hotel greets guests with a stunning- crisp white exterior- showcasing the charm and splendour of traditional Greek style. The guest rooms are beautifully appointed- featuring a serene ambience in which to enjoy restful slumber. 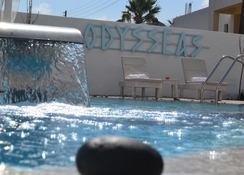 Guests can enjoy a host of facilities and services at this hotel.